Listed as one of the top 500 universities in the world by Times Higher Education, Western Sydney University (WSU) is one of Australia’s leading academic institutions, serving 43,000 students across 8 campuses. 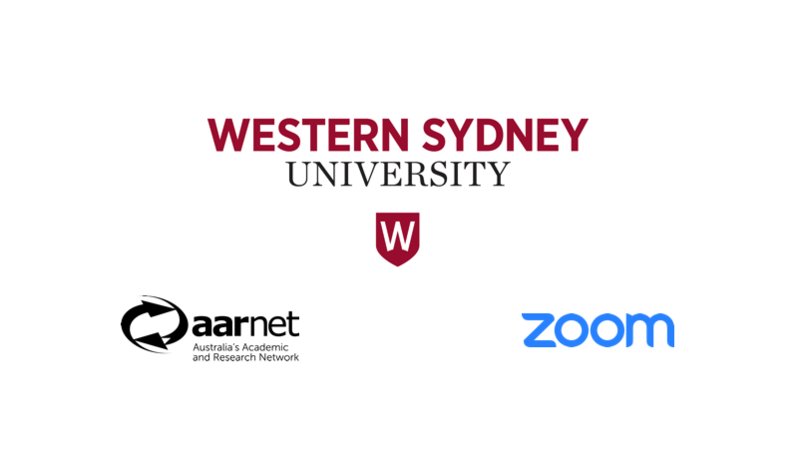 Zoom and our Australian partner AARNet, have released a case study about WSU’s use of Zoom across their campuses, focusing on why they needed a new solution, how they’ve deployed Zoom, and their top video communications use cases. While they were facing these challenges, there was enthusiastic organic growth of Zoom at WSU. What took Zoom from a few users to a full university deployment? It started when Lambert and his team turned to their friends at AARNet, which provides networking services for educational and research institutions throughout Australia. AARNet hosts Zoom on its network, providing universities such as WSU with the best possible video conference experience, local Zoom support, and Zoom cloud recording integration. Lambert and his team found a lot to love with Zoom. “It has great performance, an easy user interface, and extremely low cost of ownership. The Zoom Rooms, in particular, have saved us about $1.5 million plus maintenance costs compared to if we had just refreshed the existing hardware. Not only that, usage of the same rooms went up by 400% when we traded out the traditional hardware for Zoom Rooms and its easy iPad interface,” said Lambert. Two years later, over 5000 staff and students are hosting Zoom meetings totaling over half a million meeting minutes each month. They’ve also deployed more than 80 Zoom Room Rooms, 24 collaborative learning studios running Zoom, and 21 Zoom H.323/SIP Connectors linking their remaining legacy conference room systems into the Zoom cloud. Western Sydney University uses Zoom for a variety of uses cases, such as online teaching, tutorials, and research. If you’d like to learn more about using Zoom at your university, sign up for a 1-to-1 demo with a Zoom product specialist today!